We have over 40 years experience in the Plumbing and Gasfitting business. Water Tanks naturally progressed from our extensive knowledge in plumbing and drainage. 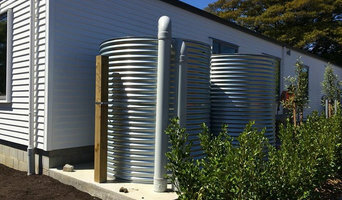 After many years working in plumbing and drainage we could see that stormwater and rainwater harvesting is important to protecting the NZ environment. We started Tanksalot® so that New Zealanders in urban as well as rural environments can harvest their own water and also control the amount of storm water they send from their properties. We brought to the New Zealand market tanks that are stylish and discreet and work well in restricted spaces. New Vision Enterprises provides stand out plumbing, gasfitting, drainage and roofing services - based on quality, honesty, integrity, appearance, and communication. Our Vision, To be recognized by our clientele as being at the forefront of our industry in providing an environment that nurtures motivated, highly skilled and knowledgeable staff. Our Mission To ensure our staff, suppliers, partners and contractors meet our core values to assist us in achieving our vision. To provide an environment that continues to develop a supportive culture of education and training, facilitating the delivery of quality information, services and products in a professional and timely manner that exceeds our customers' expectations. Isovalve fittings are designed to give you complete isolation for most plumbing appliance and fixtures in your home or commercial building. Not only do they allow you to turn on/off the water supply directly to an individual appliance but it allows you to regulate the flow, so no more getting splashed when you turn the tap on too quickly! We provide total performance in the essential services we offer – Plumbing, Gasfitting, Roofing, Heating & Drainage. This focus on total performance helps shape what we do, from the new products and innovations we source and develop, our keen attention to detail, the way we interact with our loyal clients and new customers and the way we work together enthusiastically as a team – our culture. Bathroom and Heating showroom. Plumbing, Heating and Gas installation and service. Jackson Plumbing Nelson Ltd is a member of the NZ Master Plumbers Association and by choosing us to complete your job you have already made a winning decision. Jackson Plumbing Nelson Ltd is based in the heart of Nelson City. We have been servicing the Nelson Community for over 20 years and have built our business and reputation through referrals from happy customers. Grant Jackson carried out his apprenticeship with E C Shaw Plumbers Ltd Mosgiel under the guidance of Eric Shaw who was at the time President of the NZ Master Plumbers Association. After completing his apprenticeship and many summer holidays in Nelson he decided to make the move. Grant has undertaken a variety of work: Employed with A&T Burts Ltd, a large commercial plumbing company. Worked on the Obstetrics Unit and Steam Laundry at the Nelson Public Hospital at the time and the main contractor was B R Malcolm Ltd. Carried out the plumbing on the Abel Tasman Explorer for Jack Guard Sea Services. The plumber for 7 years at the Nelson City Council. He worked on large water mains, pressure reducing valves, pumping stations, Backflow Preventers, water meters, water reticulation, reservoirs and pensioner housing. Grant started his own business in 1996 working from his home in Wellington Street. With the ultimate sacrifice being trading his beloved Datson Fairlady 280Z for a humble Toyota Hiace. It wasn’t long before he purchased a commercial site at 2 Sharps Lanes which is the current site for the business. He spent his weekends painting, repairing the roof, installing downpipes and stormwater before opening the Sharps Lane workshop. Grant has focused on keeping the business staff levels between 3-5 as he feels it allows a personal touch with both staff and clients. Grant has made it a company priority and invested his time over the years to the training of apprentices to a standard of excellence, to ensure the ongoing supply of newly qualified trades people. As Grant is a certifying plumber, certifying gas fitter and certifying drainlayer, Jackson Plumbing Nelson Ltd is able to carry out all areas of the trade. Jackson Plumbing Nelson Ltd is a customer focused business and no matter how large or small the job is our company has the capability and experience you need. Are you looking for someone to install the new geyser you just bought but you don’t know how to? And do you worry that asking for a plumber to do it would cost you a fortune? Worry not because we are here to assist you with the lowest rates possible in the whole Wellington area. We are everyday plumbers providing you many services such as everyday plumbing repairs, servicing, installations, heat pump repairs, servicing, installations, gas fitting checks and maintenance, home buyer surveys, bathroom fittings and renovations, central heating fittings and maintenance, clearing gutters and drain laying and drain unblocking. Among the many plumbers in the area, there are many reasons as to why we differ from the rest and are ranked as the best. Quick response, arrive on schedule or notify you of any possible delays, tell you what the problem is and how we’ll fix it, not leave behind a mess. 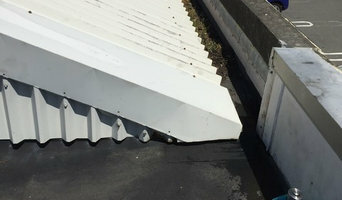 We offer transparent and honest prices, adhere to New Zealand safety standards and full coverage in Wellington and surrounding suburbs are few out of the many reasons. To get many fantastic services from us, all you have to do is pick up the phone and dial 04 831 0753 or visit our website and request a call from us and get in touch with the bets plumbers in town. The team at Peter Jackson Plumbing are your local Kapiti one-stop master Plumbing, Gasfitting, Drainlaying, Solar water heating, Roofing, Bathroom & Kitchen Renovation specialists committed to making your life a little bit easier! For years, our plumbers in Wellington have been delivering, fast, efficient and quality plumbing services to the residents of Wellington. We also pride ourselves in offering these services that include fixing leaks and burst pipes, offering flood damage control clearing blockages, repair of different systems and even setting up new plumbing installations at very affordable rates. 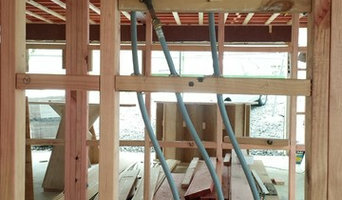 For a full list of the services we offer, please visit <a rel="nofollow" target="_blank" href="http://plumbers-wellington.com/">http://plumbers-wellington.com/</a>. We also value our clients and that is why we respond to our client calls very quickly and therefore, offer no delays or excuses. We also guarantee that once you contact us, you will get quality services and friendly workers who will fix all your problems. Contact us on the number 04 831 0753 and make a booking! Plumber Christchurch is one of the leading drainage specialists in New Zealand. With over two decades of experience in the industry, our plumbers are very knowledgeable when it comes to different plumbing installations and repairs. They can fix your burst pipe, remodel the bathroom, install a new shower, and inspect the entire system for any impending issues. This is in addition to getting you the best parts in the market, and being readily available for any emergencies. Call our contact line today and get a free quote. There are no hidden charges when you hire us for your commercial or residential project. Quality service is what we deliver, and at a very affordable rate. Our direct hotline is 03 741 3026. With 30 years experience in drain laying and heating, Enviroplumb plumbers do the job right first time, every time! Locally owned and operated by Craftsman Plumber, Peter Sutton, Enviroplumb Limited offers exceptional plumbing, gas fitting and drain services throughout Christchurch and Canterbury. And if you need an emergency plumber in Christchurch, Enviroplumb will be there 24/7. Enviroplumb are equipped to take on all residential and commercial plumbing repairs, installations and maintenance, no matter how big or how small the job. Pete and his team make sure that every job is treated with the same amount of care and every customer goes away satisfied. Pete and the team at Enviroplumb take pride in their skills as Craftman Plumbers and rate product performance and reliability as their number one priority when it comes to what they offer their clients. With a lot of plumbing work done behind walls and underneath floors, some plumbers will also repair or replace tile, stonework or other surfaces, if need be. You’ll find most plumbers provide a variety of services, including maintenance and construction, covering gas, solar and electric. However, some will have areas of expertise. A 24-hour plumber, for instance, will be well versed in residential emergencies and repairs, while others may be more experienced in renovations and new homes, or the installation of septic systems, rainwater tanks, pumps and other special water and drainage systems. Find plumbers on Houzz. A leaking toilet or blocked drain can do more than just water damage, so never wait too long to call a local plumber. Start your search on Houzz by browsing the Professionals section of the site. If you're undergoing a renovation or home construction, you may also look through Photos to find local plumbers who have worked on projects similar to yours. If you’re planning a large-scale project, find other professionals on Houzz who can help get the job done. Here are some related professionals and vendors to complement the work of plumbers: Building Project Managers, Septic Tanks & Sewage Systems, Kitchen & Bathroom Designers, Kitchen & Bath Renovators.